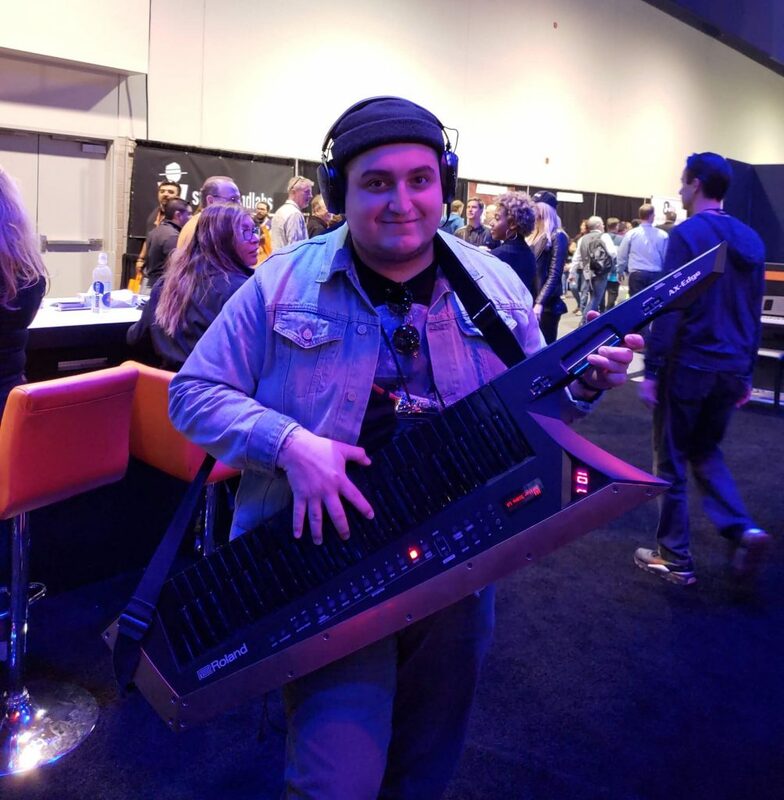 It was all about community and unleashing creativity at this year’s NAMM Show. Team Recording Connection was on the ground to be a part of it. 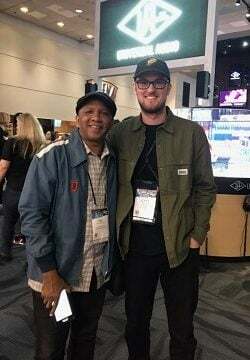 We had a seriously fun time connecting with so many of our talented audio engineering and music producing mentors, friends, and partners. Held at the Anaheim Convention Center in Southern California, this year’s team was comprised of Recording Connection (RRFC) talent Korey La Rue, Andrew Trivette, and Jimmy Palencia of Admissions and Liya Swift, Editor and Associate Director of Media Management. Occuring every winter (there’s also a Summer NAMM), NAMM is a very big deal, both nationally and internationally. 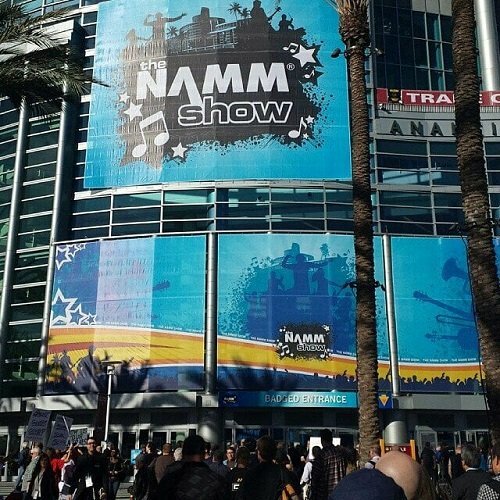 Established in 1901, the National Association of Music Merchants aka “NAMM” is the largest trade-only show in the world for musical instruments and technologies, professional audio gear, and event tech industry products. Currently valued at 17 billion globally, the music, audio, sound, and technology products industry is one facet of the larger multi-billion worldwide music industry. In fact, The International Federation of the Phonographic Industry projects the broader global music industry to be worth 131 billion by the end of 2019. Comprised of physical, digital, streaming, performance rights, and sync revenues, the music industry is nothing short of behemoth in size. Nowhere was that more apparent than at this years’ NAMM. All five halls of the convention center were jam packed with exhibitors, brand ambassadors, musicians and industry buyers and the prevailing mood was one of community and excitement over everything that’s coming in 2019. 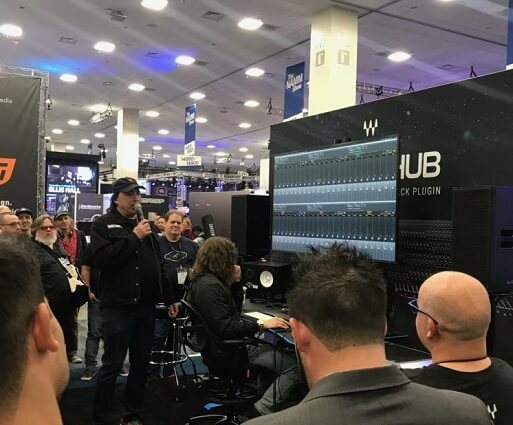 Chris Lord-Alge himself was at the Waves’ exhibit demonstrating the new CLA MixHub plugin which enables users to mix up to 64 tracks on the same channel window. The Mixhub workflow lets you batch as many as eight channels into a bucket gives you the option of working with those channels as a batch or toggling to Channel view to focus on a single channel. 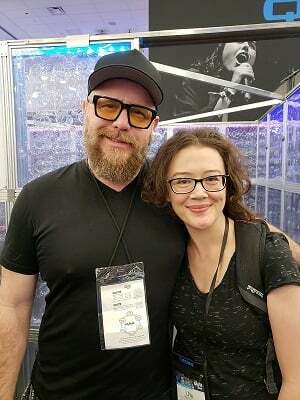 We also met up with Learn from Legends mentors Ryan Hewitt (blink-182, Brandi Carlile, The Lumineers, Red Hot Chili Peppers) and F. Reid Shippen (Dierks Bentley, Kenny Chesney, Lucie Silvas) who graciously shook hands and talked shop with the many engineers, producers, and audiophiles who approached them as they made their way through the pro audio exhibits. We got to visit our friend Roxanne Ricks, Artist Relations Manager of Audio-Technica who also co-sponsored the 2nd Annual Csaba Petocz Master Class, held late last year at Chris Lord-Alge’s Mix Master Studios L.A.
We even got to sit down with Nashville-based Recording Connection mentor Sean Giovanni aka Gio of The Record Shop for a quick, yet super insightful interview. Eric Boseman & Korey La Rue, RRFC. During our interview it became clear that Gio is someone who’s succeeded in the challenge of maintaining balance in his life and career as a music producer, audio engineer, and entrepreneur. Learning what it takes to stay focused, on-purpose, and to achieve a sense of fulfillment in one’s life was a big part of what we talked about. 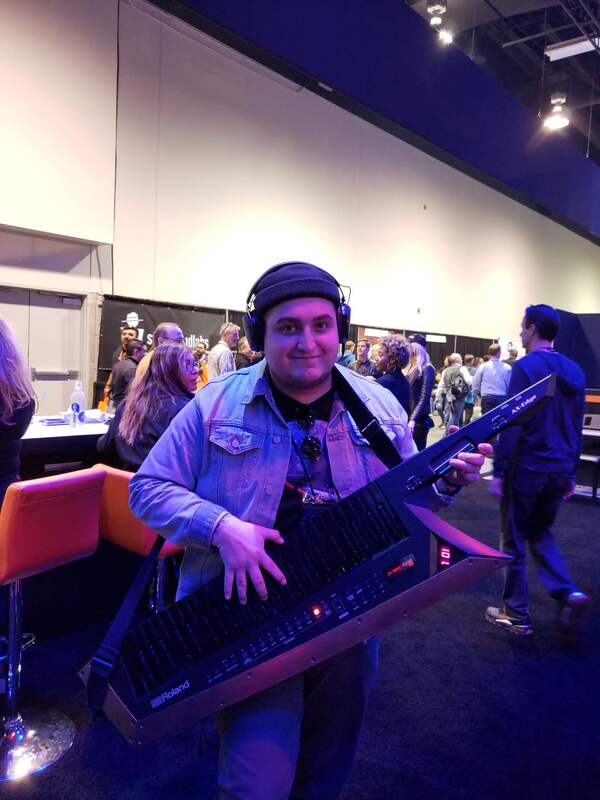 As it turns out, not only was Gio talking to us, the very next day, he was speaking at NAMM on the very same topic. They’ll be more on that in coming days, so stay tuned!